Click here and like Pantene on facebook. Then on the “Pantene Coupon” tab allow the application (you can delete it right after) and you’ll be able to request your coupon. TIP: If you get “Service unavailable” Keep trying or wait a little bit so that less people are on. Thank You Pantene, the best product in the world!! got though and page said I will get the coupon! Thanks! It’s my only shampoo n conditioner! your products are excellent, and with my propecia..you’ve saved what lil’ hair i got! i LOVE the Pantene line! It worked the second time. Thanks! 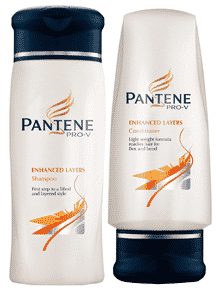 I have used Pantene since it first came out, early 90’s, & I love it. Love Pantene…. How will I know if I have the free sample? Thank you! I hope I get one! I love how pantene makes my waist long hair healthy and manageable. Thanks for a great product pantene. Did you ever think of making one in the scent of lilacs?